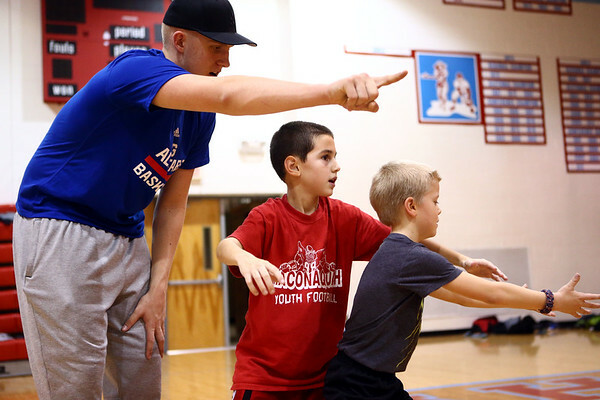 Hayes gets instruction from Maconaquah senior forward Wyatt Hughes during a Maconaquah basketball camp over Christmas break on January 3, 2017. Wyatt and Hayes, along with Braves point guard Chandler Pitts, have formed a friendship on and off the court. The two high school basketball players motivated 9-year-old Hayes to continue his infusion treatments when he wanted to stop doing them.